Many homeowners love hardwood and tile floors, but according to veterinarian Dr. Julie Buzby, dogs weren’t designed to live on this flooring. Slipping impacts dogs’ joints and increases the risk of injury, and it can be an emotionally traumatic experience as well. 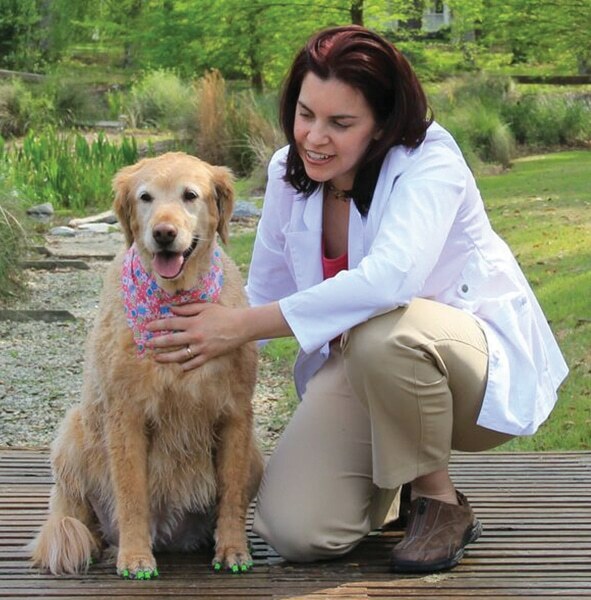 Therefore, Dr. Buzby has developed Dr. Buzby’s ToeGrips for Dogs, which she describes as “a biomechanics solution to a biomechanics problem.” ToeGrips are nonslip nail grips that slide onto dogs’ nails, adhere by friction, and provide traction and confidence for senior, arthritic, and special needs dogs. ToeGrips come in 7 sizes and are distributed by more than 1000 veterinary professionals in 20 countries, through MWI Veterinary Supply (mwivet.com), and directly at toegrips.com. The creators of VetPrep announced the release of a new mobile app. ViralVet enables veterinary professionals to share challenging cases instantly with a global community. The free app features a live, customizable feed that users can browse by species and specialties and is searchable by tags or keywords. Users can post their own photos to share discoveries or solicit professional opinions on cases that are interesting, novel, challenging, or didactic. ViralVet is available at no cost for iPhone and Android in North America, the United Kingdom, Australia, New Zealand, and select Caribbean and European countries. For more information, visit viralvet.com. University of Minnesota College of Veterinary Medicine faculty member Ned Patterson, DVM, is participating in the International Veterinary Epilepsy Task Force, created to streamline the process and create a common language for researching, diagnosing, and treating epilepsy in dogs and cats. Dr. Patterson has focused his research on understanding and treating epilepsy in dogs as a model for human epilepsy using novel drugs and novel devices. 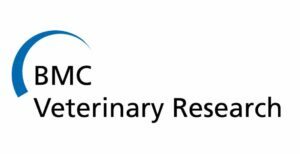 The task force is a 26-member collaboration that includes veterinary practitioners and neuropathology and neurology experts from around the world. For more information, visit biomedcentral.com/1746-6148/11/148. 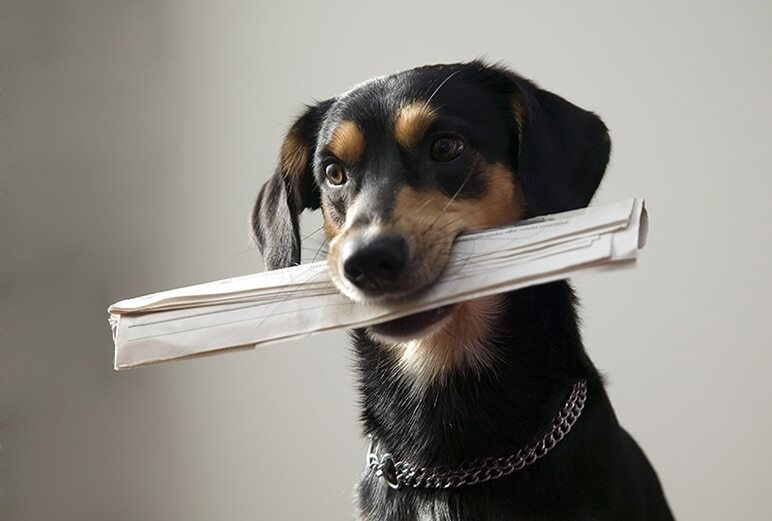 Send news, press releases, or information relevant to veterinary professionals to tvpnews@navc.com for publication consideration in Today’s Veterinary News. 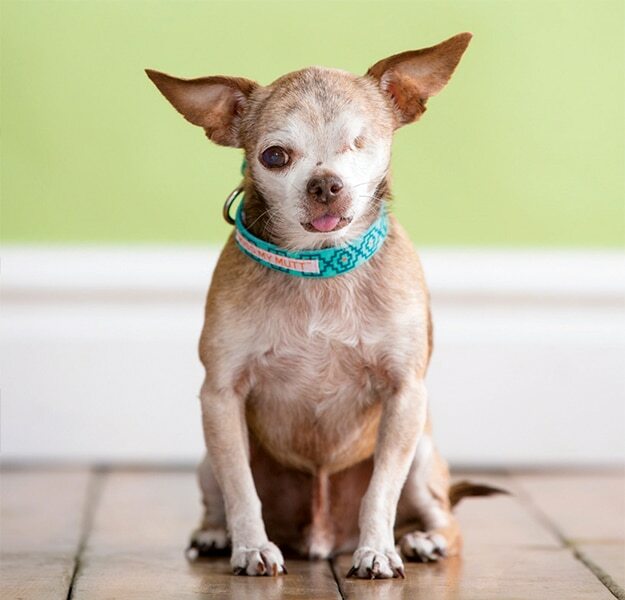 Harley the Chihuahua, a puppy mill survivor and rescue advocate, recently earned the distinction of “American Hero Dog” at the American Humane Association’s (AHA) annual awards program. The Merial-sponsored “Emerging Hero Dog” category recognizes an “everyday” dog that makes a difference. Fourteen-year-old Harley inspired and currently leads “Harley to the Rescue,” a campaign in partnership with the National Dog Mill Rescue that raises funds to save and provide medical care for mill dogs. Harley himself survived a decade in a puppy mill, enduring physical deformities (including the loss of his left eye) and emotional trauma as a result of cage confinement and poor conditions. For more information, visit milldogrescue.org/harley-to-the-rescue. 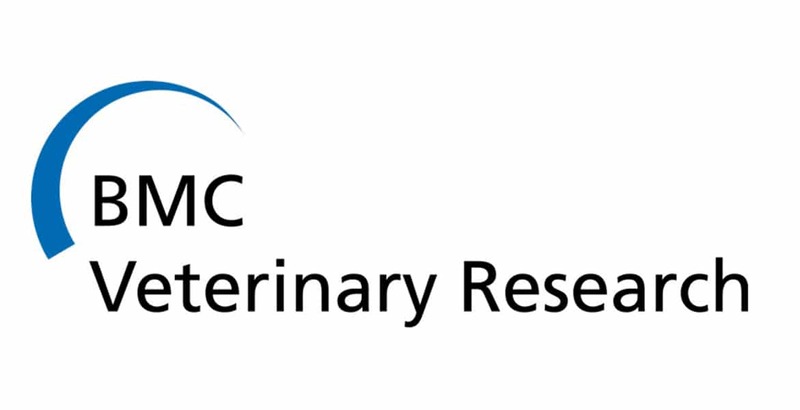 PetCure Oncology has announced that its newly created scientific advisory board recently met for the first time and reported immediate progress in their effort to establish safe, reliable, and effective standards for the delivery of veterinary stereotactic radiosurgery (SRS). This team of experts will refine protocols and establish standards that can be used across the industry to optimize the efficiency and effectiveness of SRS. Additionally, PetCure Oncology is pleased to announce the selection of Radialogica’s fullAccess software as the company’s platform for clinical collaboration and quality management. PetCure Oncology has formally implemented fullAccess across its network of cancer centers earlier this month. To learn more, visit petcureoncology.com or call (773) 850-3400. For more veterinary news, go to Facebook.com/TodaysVeterinaryPractice. 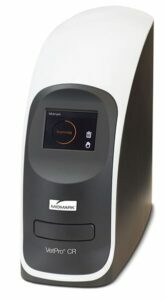 Silver Lake Research Corporation is taking urine cultures out of the laboratories and into the clinics with the launch of RapidBac Vet, the first rapid immunoassay for detection of gram-positive and gram-negative bacteria in urine, for use as an aid in the diagnosis of canine urinary tract infections (UTIs). RapidBac Vet provides veterinary practices with an accurate and cost-effective point-of-care solution that can be performed during the initial clinic visit. With results appearing in less than 20 minutes, RapidBac Vet expands a clinic’s in-house testing capability to immediately rule in or rule out UTIs with 98.5% accuracy and allows clinical teams to test and treat in the same visit. 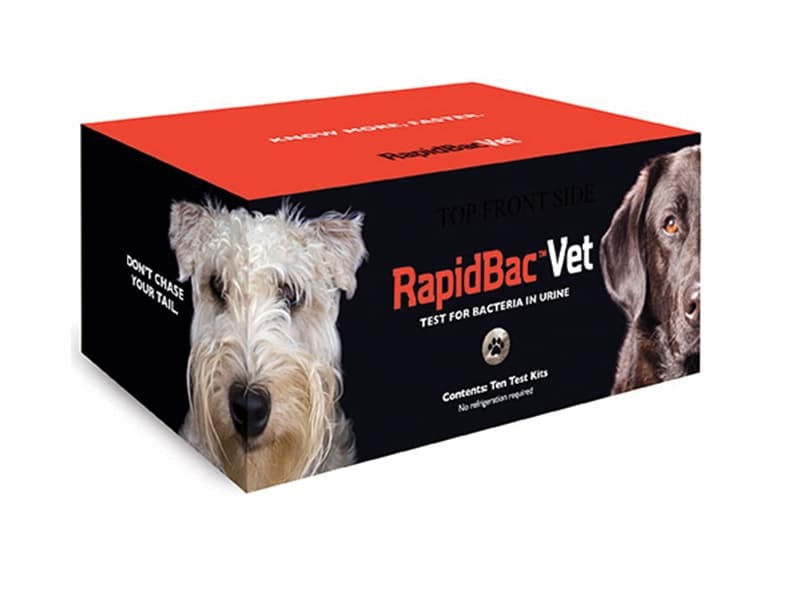 To learn more about RapidBac Vet, visit rapidbacvet.com. The Diabetes PetCare Alliance is rolling out a program to help veterinary practices identify new diabetes cases and jump-start management of the disease. Formed in 2014 via collaboration between Merck Animal Health, Nestlé Purina PetCare, and Zoetis, the Diabetes PetCare Alliance is extending its mission by equipping more veterinary practices with vital tools and resources relating to diabetes awareness. Participating clinics will receive client education tools from the Alliance to aid with diabetes awareness and screenings. 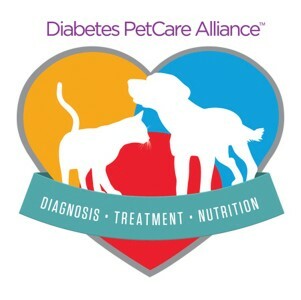 Veterinary clinics can now enroll to participate in the Diabetes PetCare Alliance by visiting usa.petdiabetesmonth.com. Midmark Animal Health has introduced the new VetPro CR Digital Dental Radiography Reader, which provides rapid, high-quality readings and is significantly faster than units currently available on the market. It has a small footprint and is low maintenance, with no brushes for ease of cleaning and reduction of image artifacts. Up to 4c plate size is available, enabling technicians to capture larger teeth with easier positioning. In addition, the VetPro CR eliminates the darkroom and chemicals and works with Midmark’s proprietary Progeny Imaging Software (included at no additional cost) to optimize acquisition, processing, and management. For more information, call 1-800-MIDMARK or visit midmarkanimalhealth.com/CR. Veterinarians can now register to attend the 2016 Triennial Heartworm Symposium, designed for both specialists and veterinary practitioners. Those registering can take advantage of early-bird rates for the symposium, which will take place September 11 to 13, 2016, at the Ritz-Carlton in New Orleans. The conference, sponsored by the American Heartworm Society, is expected to cover topics, including heartworm testing practices, heartworm resistance, the risks of soft kill, Wolbachia, heartworm-associated respiratory disease (HARD) in cats, shelter medicine, and the effects of climate change on mosquito populations. To register for the symposium and learn more, visit heartwormsymposium2016.com. Special rates are available for veterinary students and veterinary technicians.